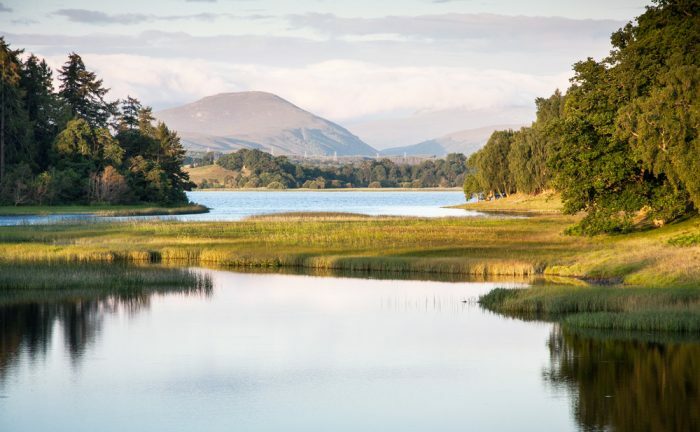 The Cairngorm National Park is one of Scotland’s finest outdoor escapes. It caters to a wide variety of outdoor pursuits and backs up each of these disciplines by having specialist shops, great accommodation and the odd pub or two. Macs Adventure has a wide array of walking adventures in the Cairngorms and to give a little more insight on the area, here are our Top 5 must see/do items in the Cairngorms. The Speyside Way has been a firm favourite since it first launched in 1981, originally spanning from Spey Bay to Ballindalloch and then adding on a northern extension to Buckie in 1999, finally, the walk progressed into the ever popular town of Aviemore in 2000 and became one of the Cairngorms firm favourites. 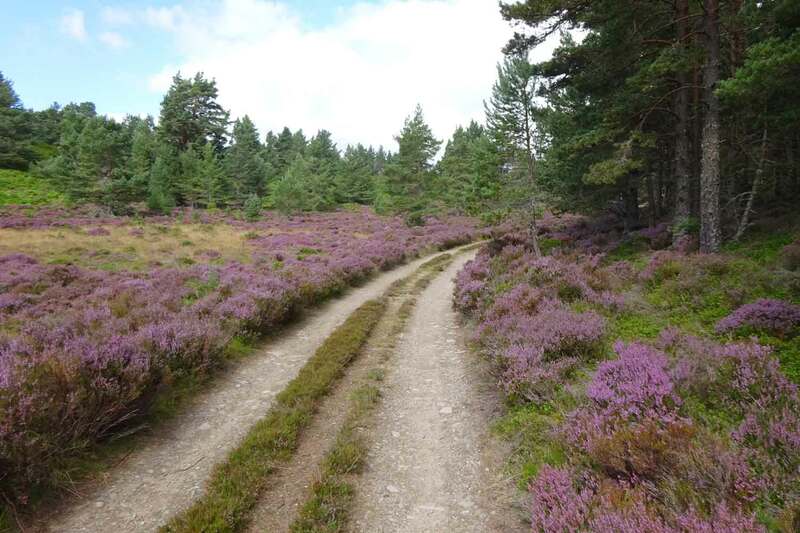 The Cairngorm section explores Boat of Garten to Aviemore through the purple heather paths and along the Speyside river where local Salmon are a common site. I highly recommend this walk and it is a fabulous way to introduce yourself to the area and the Scottish Highlands. 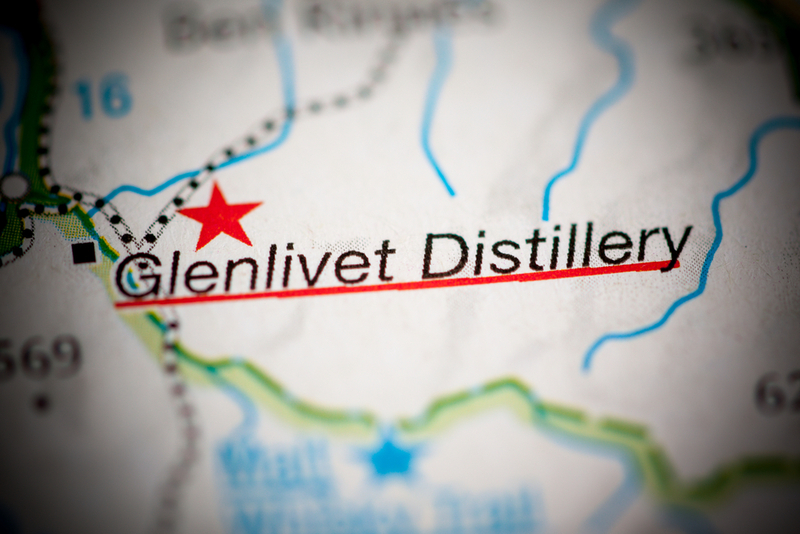 Glenlivet nestles beautifully in the wilderness of the Scottish Highlands with the Cairngorms to the south and produces some of Scotland’s if not Europe’s best Whisky. The rugged remote hills used to be the perfect location for Whisky Smuggling and illicit distilling which meant that the Whisky could be longer matured and smoother Spirit, something the Whisky is renowned for. No visit to the Cairngorms is complete without tagging on an experience at the Glenlivet Distillery for a truly authentic experience. 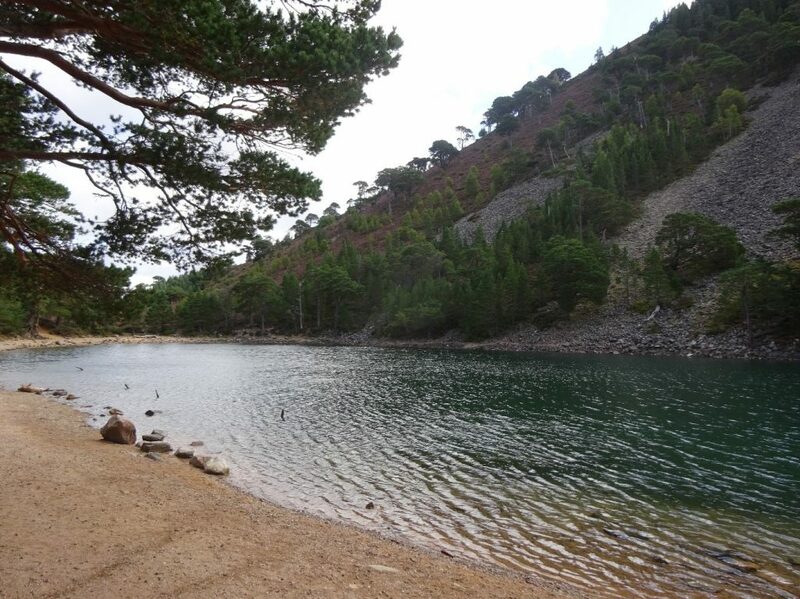 Loch Uaine is a hidden Treasure at the foot of the Ryvoan pass in the Cairngorms. The name itself translates to the ‘Green’ Loch, quite apt in its name as the emerald green waters sparkle. It’s the perfect spot to relax, have lunch, swim in the summer months or simply take in the breath-taking surroundings on the stunning stretch of beach by its side. 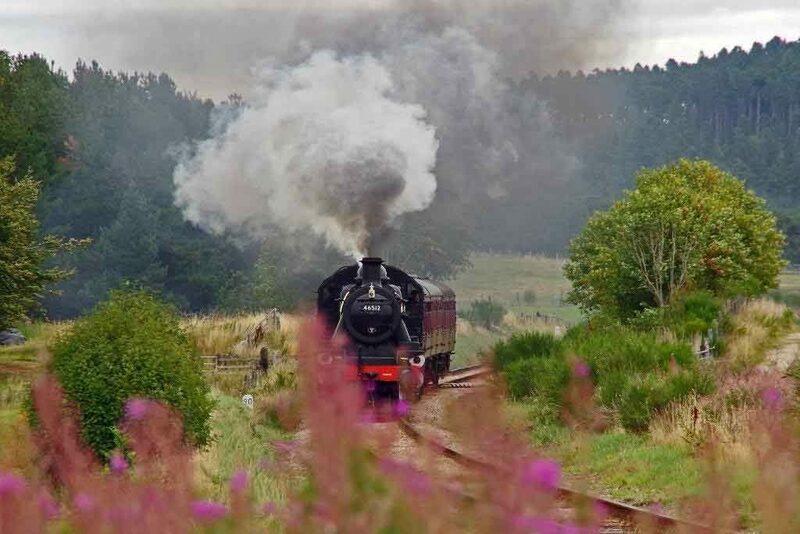 A truly fabulous experience, The Strathspey Railway situated between Broomhill and Aviemore is the coolest way to commute. Take the train for the experience or to get from A to B, the feeling of stepping back in time is sensational and the volunteers who run the trains and stations really do their utmost to ensure the best experience. The Funicular is a favourite in both the summer and the winter months to take you to the top of the ski ranges. In the summer you can ride the Funicular to the Ptarmigan restaurant on the top stations and enjoy 360-degree views of this beautiful mountain range. Enjoy the viewing terrace, Shop and exhibition as well as posting your postcards from the highest post box in the British Isles! 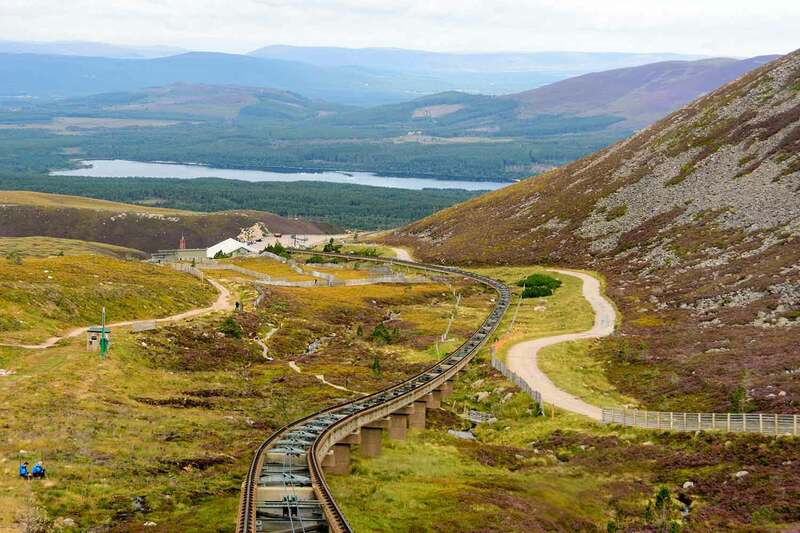 In the Winter the Cairngorms become a hub for skiers and snow worshippers alike and for those of you who are like Bambi on skis the Funicular is the warmer way to make it to the top of the range where you might even spot one of the local Reindeer. The Cairngorms is a wonderfully diverse area and deserves to be explored. You can check out the various walking trips in the Cairngorms that Macs Adventure offer, or if you want to ask for some advice from one of our destination specialists, just drop them an email.